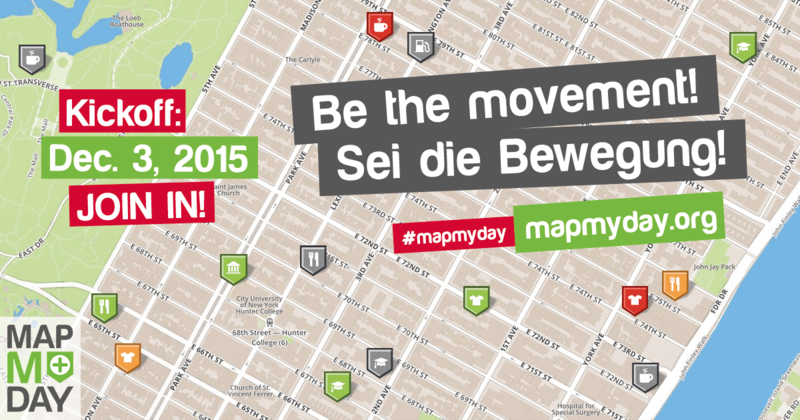 3 December, marks the start of the worldwide campaign “MapMyDay” to raise awareness for everyday barriers. The German NGO Sozialhelden and the World Health Organization (WHO) are calling upon people everywhere to rate places in their neighborhoods according to their wheelchair accessibility, using the online map Wheelmap.org. The occasion for this worldwide event is the International Day of Persons with Disabilities. “A city for all – that is how I envision Berlin. For this vision to become reality, everyone needs to help out. A very good method for that is Wheelmap.” With this statement the Governing Mayor of Berlin, Michael Mueller, is supporting the international campaign “MapMyDay” for more accessibility in cities and towns worldwide. Because barriers that can easily be overcome by many people can prove to be insurmountable obstacles for people in a wheelchair, with a walking aid and for families with a baby carriage. Steps, stairs and broken elevators are daily barriers for people with mobility impairments. The German NGO Sozialhelden found a solution to this problem and developed the online map “Wheelmap.org”, an interactive city map upon which everyone can see if a public place is accessible for wheelchair users or not. In the course of the last five years, volunteers around the world have marked more than 600,000 places on the map, and every day approximately 500 newly marked places are added. Interest in the campaign has been great, even before its official start. “We are getting support from many sides and we are very happy about the many positive reactions from mapping enthusiasts, prominent personalities and national and international businesses!“ says Krauthausen. In Germany, well known personalities such as international soccer star Christoph Metzelder, Berlin’s mayor Michael Müller and model Mario Galla, are supporting the campaign. Internationally, EU Commissioner Marianne Thyssen, the writer Andrew Solomon, model Danielle Sheypuk, Philippe Pozzo di Borgo of “The Intouchables” fame and other notable persons are active for “MapMyDay”. Businesses such as Scout24, Facebook Germany, Google.org, Otto Bock, Lonely Planet and institutions and organisations such as the German Ministry of Foreign Affairs, the “European Network for Accessible Tourism” (ENAT), CBM and Access Israel are also part of MayMyDay. Participants can share their experiences on social media with the hashtag #MapMyDay. “We are very interested in hearing what kinds of things mappers experience during the day, because many people without a wheelchair are often not even aware of barriers. That is why, for example, we have heard from people on Twitter that the wheelchair accessible restroom of a place is in the basement. We will also collect these oddities and report on them with the hashtag”, says “MapMyDay” campaign manager Svenja Heinecke. How long the campaign will go on for depends on the interest in the worldwide mapping movement. Svenja Heinecke explains: “First off, we hope that many newly marked places will be added to the 600,000 we already have, and then we will decide when “MapMyDay” is over. 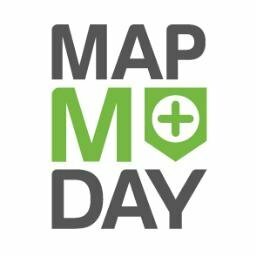 Keep up to date with the latest MapMyDay activities on twitter @MapMyDay. NextThe 100 day countdown to Disabled Access Day has begun!